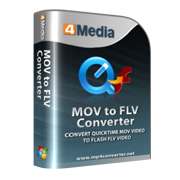 4Media MOV to FLV Converter is an easy-to-use MOV FLV converter that can convert QuickTime MOV video to Flash FLV video. 4Media MOV to FLV Converter is the completed way to convert QuickTime MOV video to Flash FLV video. The practical editing functions accompanied with 4Media MOV to FLV Converter can further improve your converted files. For example, you can split a QuickTime MOV file, calculate video bit rate, adjust parameters, preview the original and the output video, and take a snapshot. To convert MOV to FLV is a few clicks of your mouse with 4Media MOV to FLV Converter. 4Media MOV to FLV Converter can convert QuickTime MOV video to Flash FLV video with excellent quality. High MOV conversion speed provided as it fully supports multi-core CPUs that ensures the full use of your CPU. The QuickTime MOV to Flash FLV converter can convert two or more files in batch mode at a time. The file split option helps you break a QuickTime MOV file into multiple FLV files by user-defined split size or time. Easily get any desired segment from the QuickTime MOV video file with the start time and duration you define. Rich output video and audio parameters including bit rate, frame rate, resolution, codec, etc. allow you to get perfect Flash video. 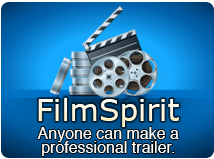 "Add Profiles" helps you get many Flash FLV video files from one QuickTime MOV File Only One Time. Allow you to change the file size and audio bit rate, and immediately show you the video bit rate. Provide several after-done actions: shutdown, exit, standby, and hibernate to release you from long-time conversion. This QuickTime MOV to Flash FLV video converter can work in the background to finish the MOV to FLV conversion. Take a snapshot to capture the movie images of your MOV video while previewing and save them as JPG, PNG, GIF, BMP formats.